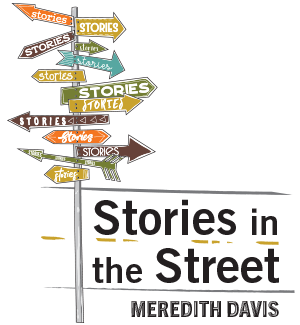 Posted January 31, 2019 by Meredith Davis & filed under Rebeka, Writing. Rebeka and I know a little about waiting. We waited for the day she would come to America. We waited for her feet to heal from surgeries. And five years later, we waited for a book contract. 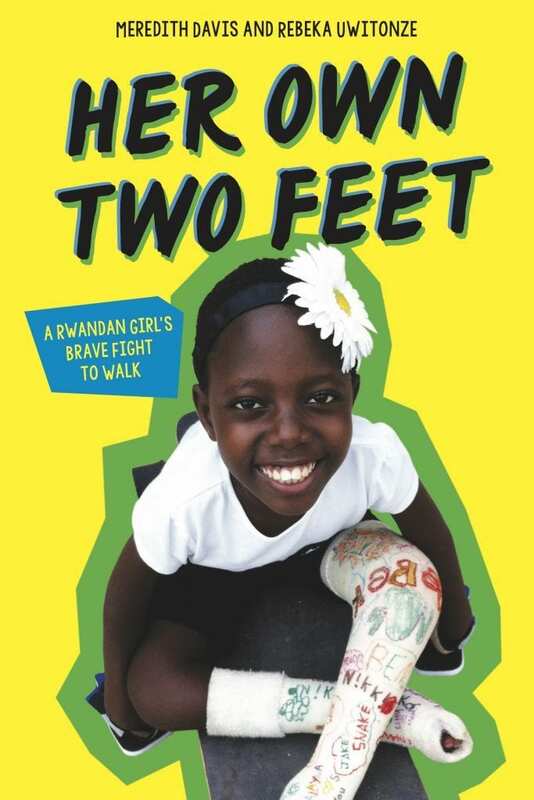 Now we are excited to give the world a peek at the result of our hard work and waiting-the cover for our debut middle grade book HER OWN TWO FEET: A RWANDAN GIRL’S BRAVE FIGHT TO WALK by Meredith Davis and Rebeka Uwitonze! One of the best parts about waiting is feeling anticipation build. We’ll have to wait a little longer to hold the book in our hands, to read the story of Rebeka’s childhood growing up in Rwanda, her time in America, and her return to her life back in Rwanda, walking on her turned-straight-feet. The book features over seventy photographs and twenty-five chapters chronicling Rebeka’s story. We can’t wait to share it with you! It will be published by Scholastic, and released October 1. The cover incorporates the bright yellow, blue and green colors of the Rwandan flag, colors that pop off the shelf, catching the eye and demanding attention. Rebeka is front and center, sporting her famous smile, while wearing two casts filled with signatures. It shows her tenacious spirit, a girl who plays hard despite hardship. The title, which was decided after many weeks of brainstorming with Scholastic and my agent, captures Rebeka’s independence as well as the literal meaning that this book is all about how she learns to walk on her own two feet. Our names, right at the top. I could not be more excited to be partnering with Rebeka to tell her story. It is an honor and a privilege. That headband. Rebeka loved wearing them as her shaved hair grew out, and that big, bright daisy makes me almost as happy as seeing Rebeka’s beautiful smile. Each time someone shares the news about HER OWN TWO FEET, they become part of Rebeka’s story, spreading her message of resilience and hope even farther. We invite you to partner with us! Share this post to build anticipation, and when the big day comes on October 1, 2019, we hope you will celebrate with us again!